As a columnist your job would be to search and write articles on all the latest stuff happening in and around your college on a regular basis. 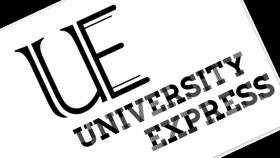 You would be acting as a link between University Express and your college. Apart from this, you will have to complete the assignments (articles etc) and submit it to your head within the deadline. One ‘writer/columnist’ is required from each college. You will be directly reporting to the Editor or the Sub-Editor. The benefits given to a columnist includes an internship certificate after successfully completing the internship. Successful and outstanding interns may get a chance to join the core team as an Editor or a Sub-Editor. However if the work is just satisfactory, then interns will be provided an e-certificate. UE holds the right to terminate the internship in case negligible work is done. As a UE Journalist, your job will be to travel and cover the news and events of our associates (inside Delhi NCR). There are limited positions for this post. After successfully completing the tenure, the journalist will be provided a campus job certificate. Outstanding work may earn you more benefits like testimonials, customised goodies and a chance to become a core member of Team UE. In case of unsatisfactory work, the tenure is liable to be terminated. Marketing Executives are responsible for administering the tasks aligned to the Marketing Department in online and offline marketing, association, reach, sponsorship and public relations.The job requires excellent management skills, dedication and flawless communication skills. 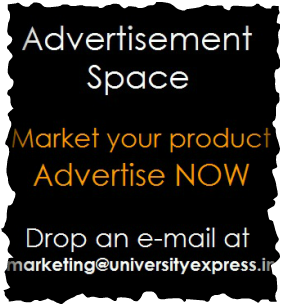 Marketing Associates will be responsible for handling the associations, public relations and sponsorship of University Express. The job requires dynamism, vitality and excellent communication skills with a flair of marketing skills.